Victor Osimhen has been waiting for this day to sign a professional contract when he turns 18. He was officially 18 years old some days ago, but was unveiled at VFL Wolfsburg with the number 18 jersey on Thursday. Osimhen is a Nigerian attacker who had a wonderful time at the U-17 world cup in Chile in 2015 and top scorer with 10 goals. 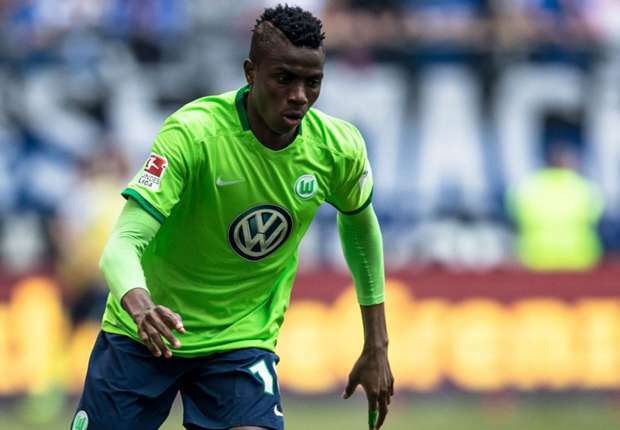 Wolfsburg signed him from Ultimate Strikers Academy in nigeria for 3,5 million Euros. Osimhen is ready to prove his worth to the team but he is battling with a meniscus operation that was performed in November last year. Ismaël “we intend to build him slowly and must watch his development from week to week.” Already the Super Eagles of Nigeria coach, Gernot Rohr, enquired about Osimhen in prelude to his nomination for the national team. Unfortunately, his recovery from the meniscus operation made Rohr change his mind. i wish him all the best of luck in the Bundesliga.